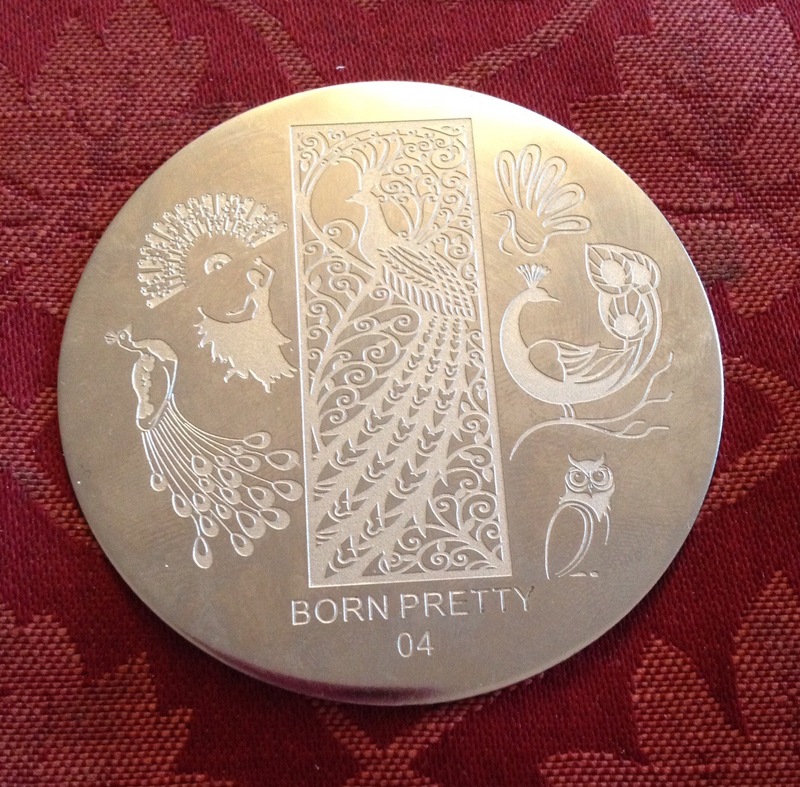 Today I have a very pretty Peacock image stamping plate BP04 to show you that I was sent for review from the Born Pretty store. The images are really pretty and picked up well. I used NI Silver Foil. I decided to show off the stamp with a base of peacock colours and a multichrome seemed the perfect option. 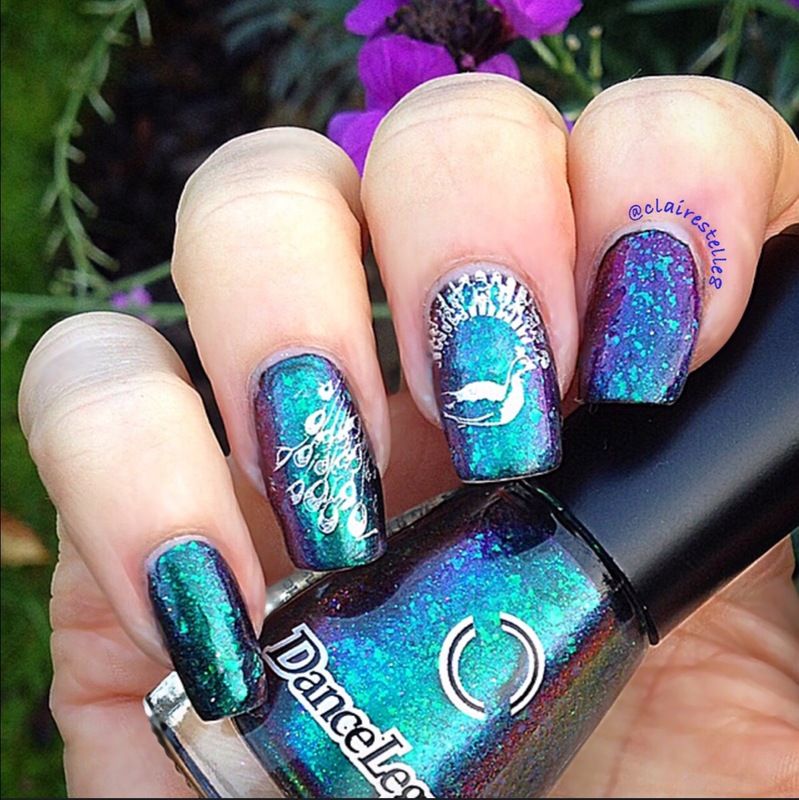 I chose Dance Legend Phobos – a stunning multichrome with duo chrome glitters and flakes! In different lights it shifts from turquoise to purple to a deep teal. It really is gorgeous but I don’t recommend driving while wearing this! To the guy in the car behind me at the lights who seemed to love his car horn rather too much all I have to say is DIRECT SUNLIGHT WAS HITTING MY NAILS! The Born Pretty store can be found at http://www.bornprettystore.com and follow them on IG at http://instagram.com/bornprettystore and don’t forget to use my code DY2X31 for 10% off your order. I purchased Phobos at http://www.dance-legend.com. It can also be purchased at http://www.llarowe.com. OH MY WORD – that is just STUNNING! Thank you Lou! 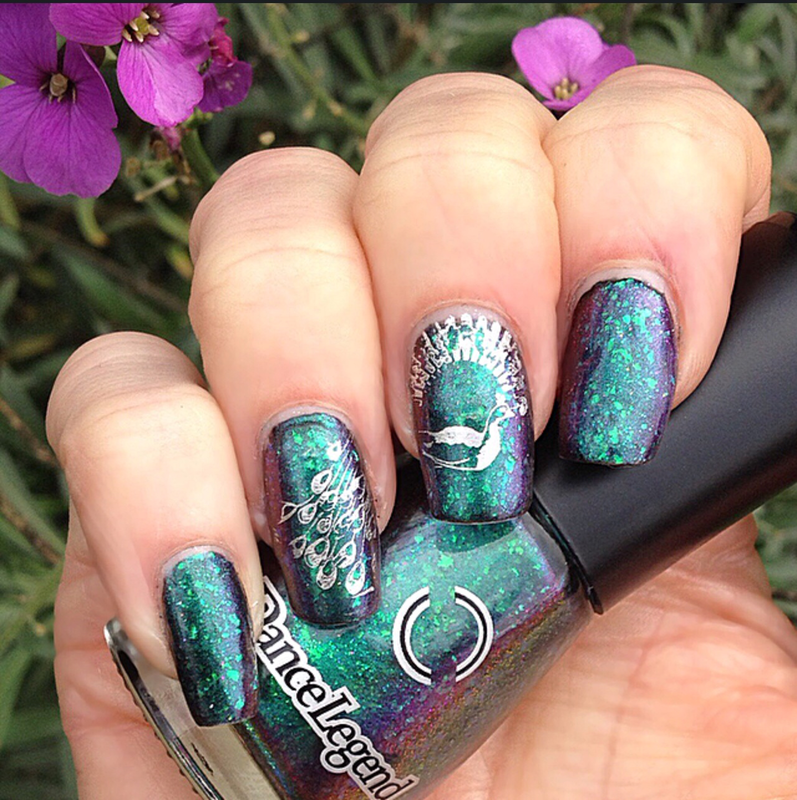 I recommend all the Dance Legend multichromes as they really have a special quality but this is something else! The flakes are gorgeous!